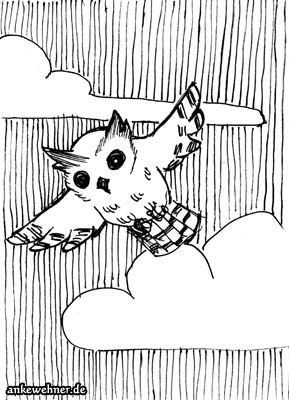 Inktober / Owltober number 12. Frankly, I had a bad day, and just did a very quick thing to not break the daily streak again. Original is available for trade or sale (€4 including worldwide shipping), use the contact form or contact me through any other website you know me on if interested.